The Federal Trade Commission has approved new EnergyGuide labels for refrigerators and clothes washers, and updated comparative energy consumption information on labels for other appliances, to help consumers compare products in light of new Department of Energy (DOE) tests for measuring energy costs. 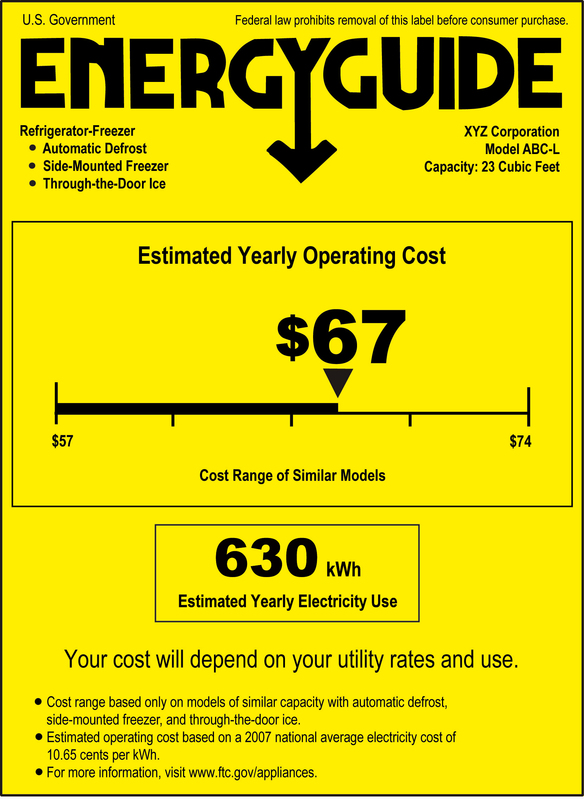 Under the Energy Labeling Rule, manufacturers must attach yellow EnergyGuide labels to certain products, stating an annual operating cost and an energy consumption rating, and a range for comparing the highest and lowest energy consumption for all similar models. EnergyGuide labels appear on clothes washers, dishwashers, refrigerators, freezers, water heaters, room air conditioners, central air conditioners, furnaces, boilers, heat pumps, pool heaters, and televisions. The new EnergyGuide labels for refrigerators and clothes washers will help consumers identify which models have been tested under significantly revised DOE test procedures that manufacturers will begin using next year and make proper comparisons about energy costs. For more information about EnergyGuide labels, read Shopping for Home Appliances? Use the EnergyGuide Label.